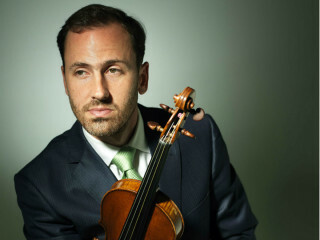 Ars Lyrica Houston's New Year’s Eve spotlight shines on violinist Adam LaMotte and Ars Lyrica core instrumentalists, as we ring in 2019 with three dazzling concertos. The first and third “Brandenburg” concertos are brilliant ensemble works for strings and winds. Baroque Razzle-Dazzle pairs these works with an equally extravagant violin concerto by Bach’s close contemporary Giuseppe Antonio Brescianello, who served the Württemberg court in Stuttgart.